Congressman Brat joined SiriusXM’s Breitbart News Tonight for an interview with co-hosts Rebecca Mansour and Joel Pollak moments before entering the House to cast his vote. Brat warned that Republican acquiescence to Democrat spending priorities will usher in financial catastrophe via increased interest rates on the federal government’s debt. 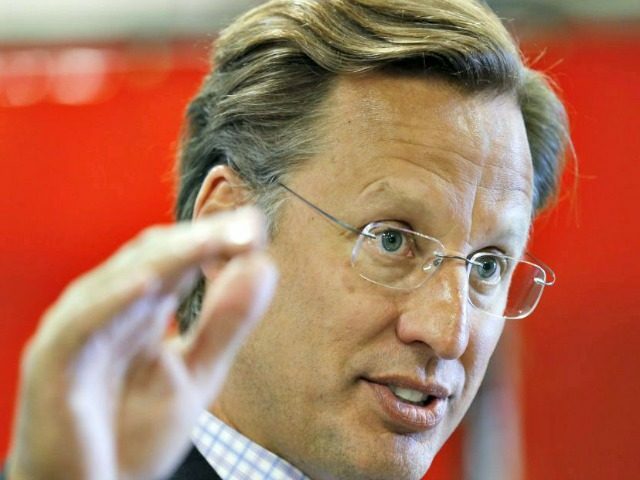 Brat cautioned against the status quo of increasing the federal government’s spending and debt. Democrats won explicit language restricting border construction to the same see-through fencing that was already authorized under current law. The bill does not allow any increase in deportation officers or detention beds. We are disappointed that we did not reach agreement on Dreamer protections that were worthy of these patriotic young people. We will continue to ask the Speaker to give us a vote to protect Dreamers and honor our values. Mansour again asked about the omnibus bill’s priorities. Brat noted how abortion-provider Planned Parenthood — which, according to its latest annual report, receives its largest source of revenue from American taxpayers — spends money on political advertising hostile to Republicans. The Planned Parenthood Action Fund produces overtly partisan political content and advertising. “When it comes to negotiation time, Democrats have no problem getting $30 billion [for the Gateway Project], but we can’t get that for the major election issue [like the southern border wall],” lamented Brat. Brat observed that when Democrats embraced “identity politics,” they abandoned the concern they once expressed for the declining wages of American workers. Brat framed Republicans as principled by prioritizing military funding while accepting certain Democrat funding priorities.